Save Girls | Fotokids- The Original! 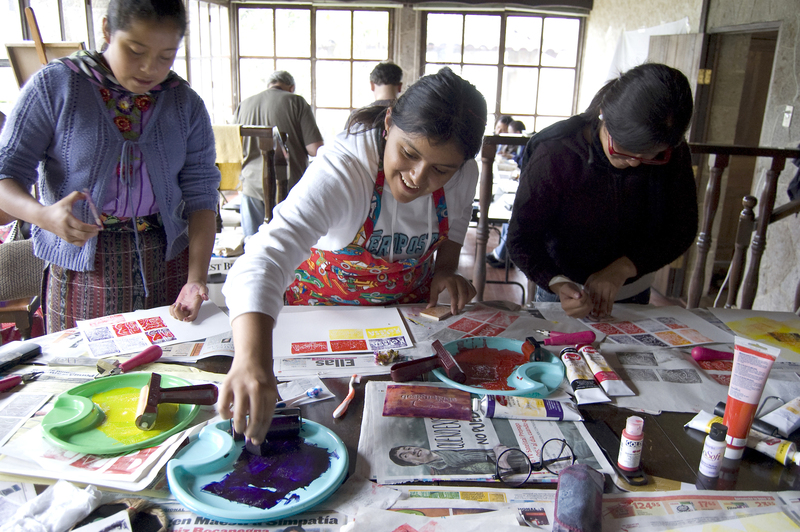 The highly successful Save Girls program originated in 2006 as a three-year program whose mission was to provide young women with the confidence, life skills and vocational training needed to effectively insulate them against the violence and poverty that characterize their gang-ridden communities in the capital. The original program was so popular that Fotokids has expanded it to other high-risk barrios in Guatemala City. The girls, ages 14-16, receive intensive training in information technology, graphic design, photography, advertising, writing and client management. We now have offered the technology course to 40 girls and they are working as graphic designers, teachers, and have gone on to study in the university. Pending funding, Fotokids would like to offer it in the future to rural areas where patriarchal traditions prefer to send the boys to school and not the girls.